Whether you have a soft spot for German spätzle or a craving for Jewish kreplach, it’s a fact of life that dumplings are one of the world’s best-loved comfort foods. 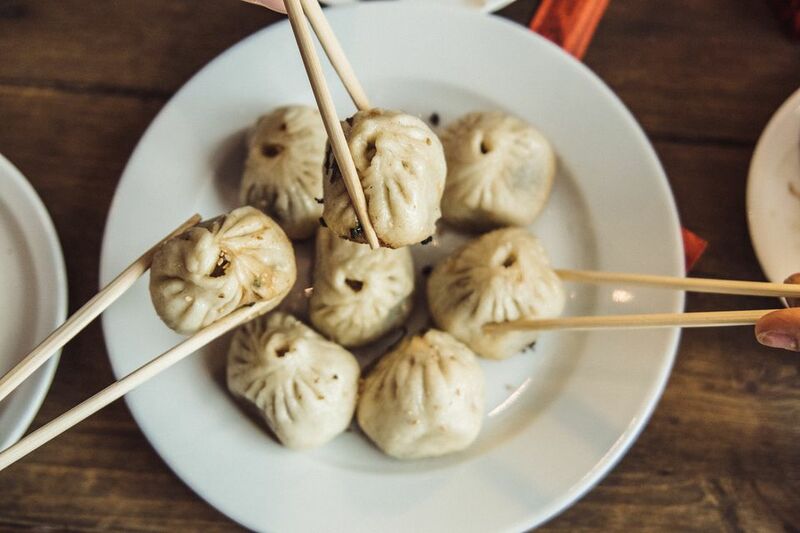 These mouthwatering morsels of cooked dough appear in the culinary culture of almost every country — and as such, one person’s idea of a what constitutes a dumpling can be very different from the next person’s. Dumplings can be plain​ or stuffed with sweet or savory goodness. They can be steamed, baked, boiled or fried, and even the dough used to make them can vary greatly. Rice and wheat flour are perhaps the most common ingredients, but some countries also use dough created using vegetable derivatives. Here's a look at some of the planet’s tastiest dumplings. An Italian staple that has found favor all over the world, ravioli consists of two layers of pasta dough filled with a savory stuffing and then sealed. Traditionally, ravioli are square in shape and filled with ricotta cheese, spinach, and nutmeg. Today it is possible to find an almost limitless array of ravioli fillings, including different combinations of meat, cheese, and vegetables. Ravioli is usually served with tomato-based pasta sauce or in a thick broth. In Eastern Europe (and particularly in Poland and Ukraine), the most popular kind of dumpling is the pierogi. Pierogis are made using half-moon pockets of unleavened dough, which are stuffed before being cooked in boiling water. Traditional pierogi stuffings include sauerkraut, mashed potato, cabbage, and ground beef, although restaurants like Veselka in New York now serve gourmet variations including arugula and goat cheese. When it comes to Indian dumplings, there’s one clear winner in terms of global popularity - the savory samosa. However, for those with a sweet tooth, the lesser-known modak is a worthy alternative. Crafted with a soft rice or wheat flour shell, modaks are filled with shredded coconut and jaggery (or unrefined cane sugar). They can be fried or steamed and served with hot ghee, and are traditionally made as an offering to the Hindu deity Ganesha. The wonton is a Chinese specialty that involves wheat flour dough wrapped around a variety of savory fillings. Wontons are traditionally molded by hand into various shapes including round parcels and triangular envelopes. Fillings differ from region to region, ranging from shrimp and minced pork to chicken and vegetables. Wontons are usually boiled and dished into soup, or deep-fried and served with a selection of dipping sauces. A little larger than other dumplings, empanadas originated in Spain but have since spread to Latin America and beyond. The Spanish verb empanar means “to wrap in bread”, and essentially, empanadas are bread or pastry turnovers stuffed with a variety of fillings before being baked or fried. Fillings differ geographically: in Colombia, empanadas are traditionally stuffed with potatoes and meat; while Cape Verde specializes in spiced tuna. Manti (or mantu) are found throughout Central Asia from Turkey to China. Thanks to their widespread popularity, these dumplings vary from region to region in terms of size and shape. Manti are steamed or boiled, and usually, contain some kind of spiced meat - often lamb or beef, but sometimes more unusual cuts including horse meat (a staple in Kazakhstan). In most countries, manti are served in a yogurt and garlic-based sauce. Also known as soup dumplings, xiaolongbao are a Chinese delicacy thought to originate from the outskirts of Shanghai. These dumplings involve a flour skin wrapped around the filling and pinched at the top to create a distinctive rippled effect. Traditionally, the dumplings are cooked in bamboo steaming baskets and filled with pork or crab meat. Meat gelatin is also included - which then melts during steaming to create a flavorful mouthful of soup. These Latin American dumplings differ from the others on this list in that they are made with mashed potato dough. The dough is shaped into an oblong, stuffed, then battered and deep-fried. Fillings differ depending on where they’re made. In Peru, where the dumplings originated, chopped beef, whole olives, hard-boiled eggs, and spices are traditional. Papas rellenas are usually served with a sauce made from ají peppers. Gyoza are a Japanese interpretation of the Chinese dumpling jiaozi. Gyoza are thin-skinned and can be deep fried or steamed. The most common cooking method is pan-frying, however, whereby the dumpling is fried on one side before being covered with water and steamed. This gives the gyoza a delicious crispy texture, enhanced by a soy sauce and sesame seasoning. The most popular filling blends ground pork, cabbage, ginger, and garlic.